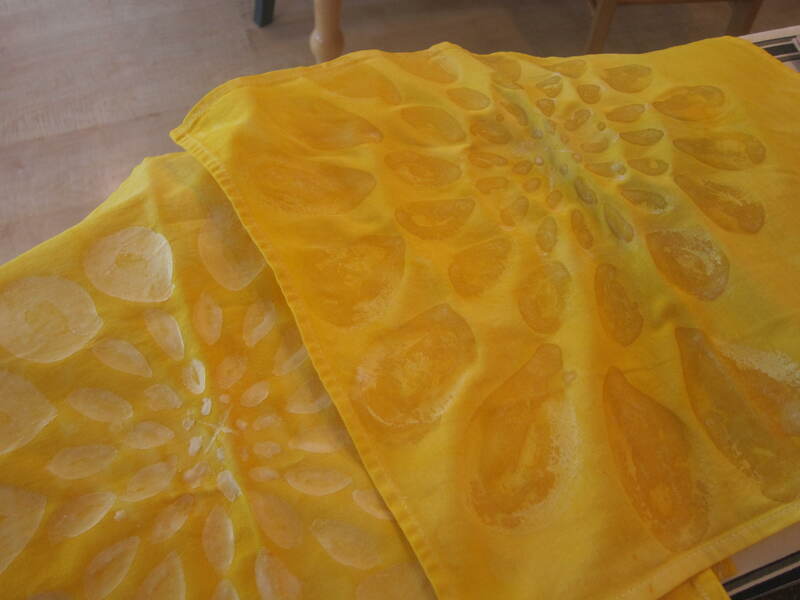 Next we’ll apply wax to the fabric to make a pattern before dyeing the fabric again. 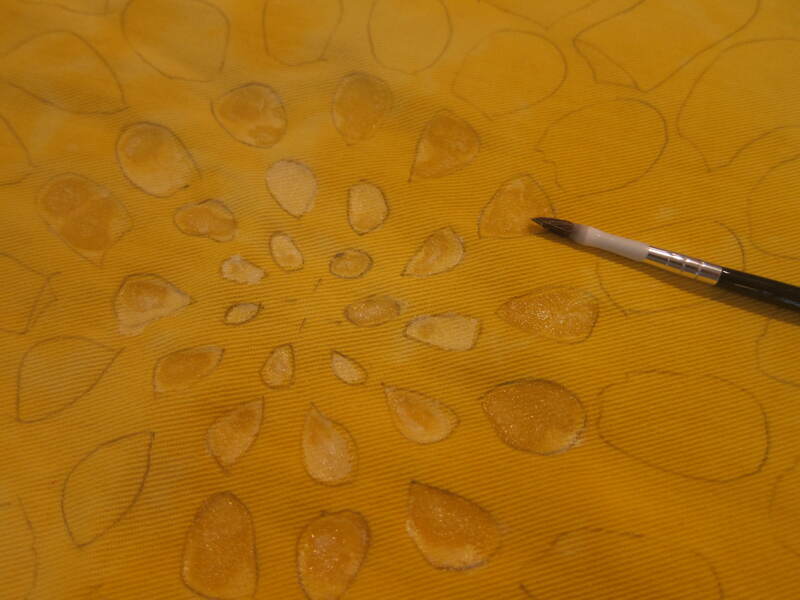 Iron the fabric and trace or draw by free hand your design pattern onto the fabric. Remember this is where you do not want the second dye to reach. 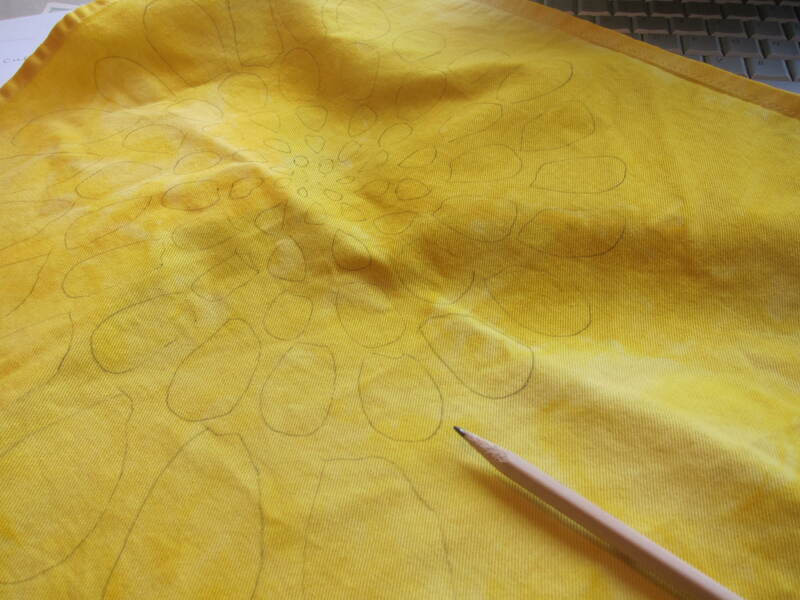 I drew a large simple Chrysanthemum pattern. 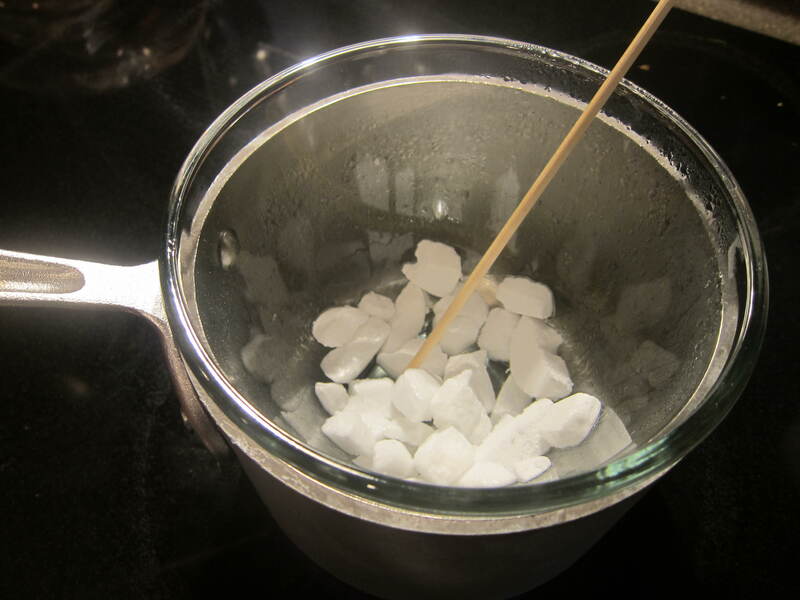 Melt your wax in a double boiler. I used plain old paraffin wax, in the form of some unscented tea lights I had left over from Jack-o-lanterns for Halloween. 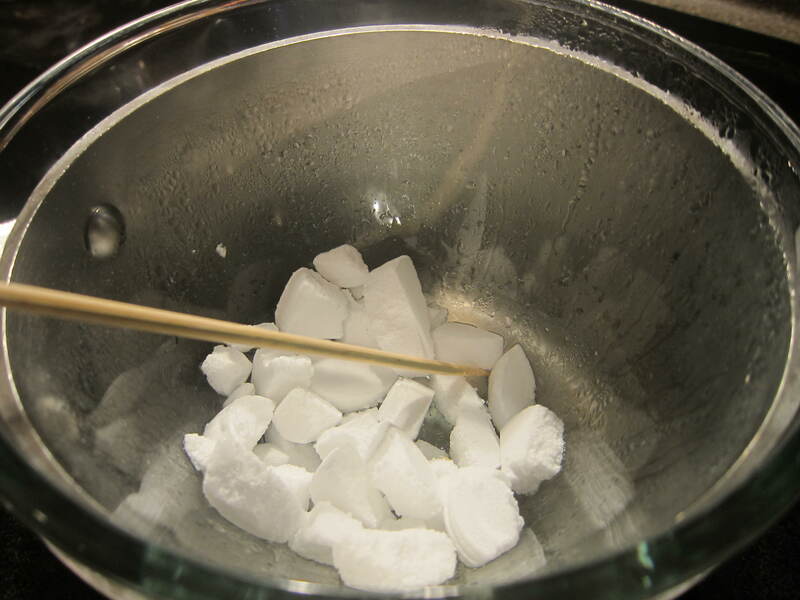 Chop up the wax into tiny bits so it will melt faster and evenly. 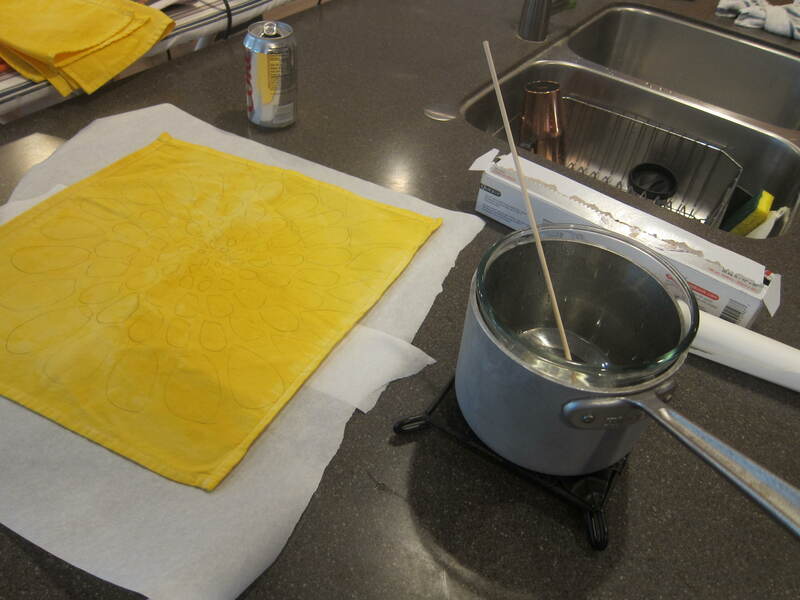 Bee’s wax holds up better and is less likely to crack causing the dye to bleed through. Stir the wax while it melts and don’t leave it unattended. When the wax is just melted take it off the heat but leave it in the double boiler, you may need to re-melt the wax halfway through the next steps. 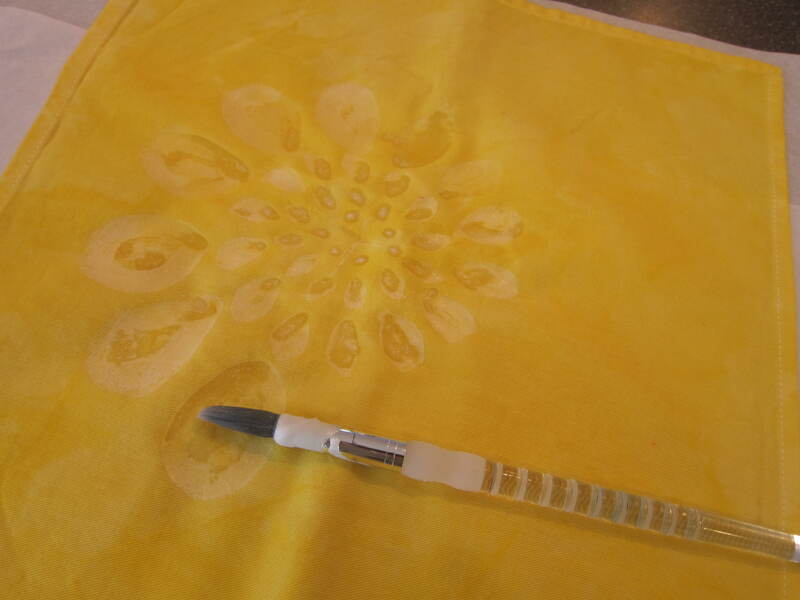 Place the parchment paper down onto your work surface, place your fabric on top of the parchment paper. Now you’re ready to paint on your design. I decided to free hand paint with the wax after the first one. I was just painting concentric tear drop shapes, that was pretty easy. I had to re-melt my wax half way through this stage, plus I needed to add a little more wax to the pot. I noticed that when the wax was cooler it did not penetrate the fabric all the way through. I liked the effect but if you’d like to have each napkin the same, re-heat the wax more often. 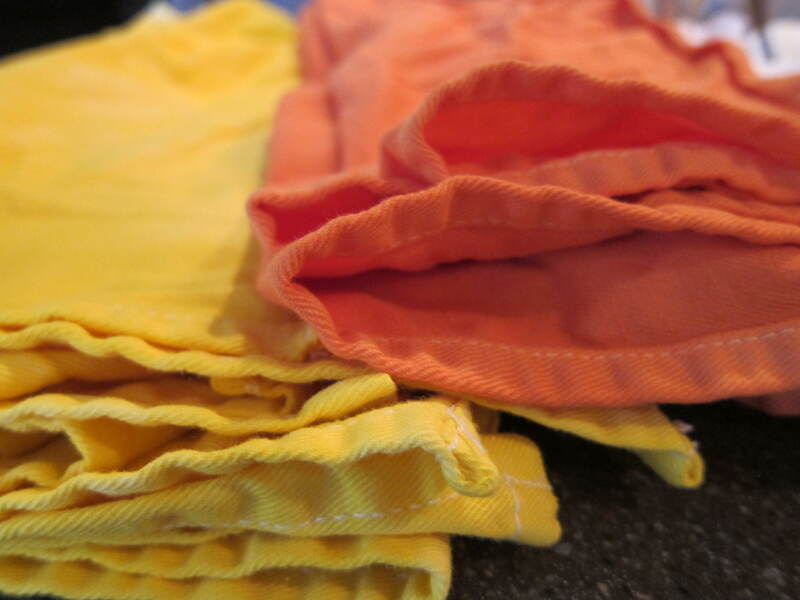 Next we’ll dye our fabric again and iron the wax off the fabric. This is pretty cool — can’t wait to see the conclusion!